A few weeks ago I added to my collection Becca's Royal Glow Highlighter a dazzling bronzed opal infused with shimmering gold pearl! 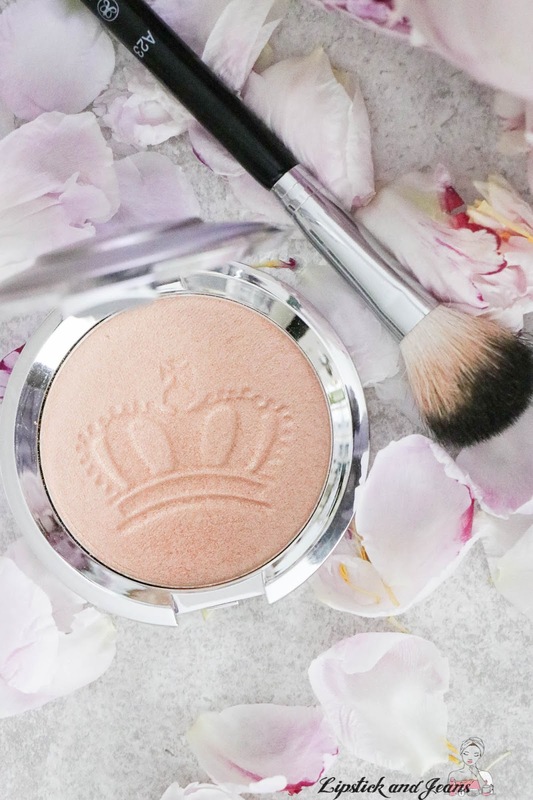 Last month Becca Cosmetics has launched their Royal Glow a limited edition highlighter; Inspired by the beauty of the United Kingdom's iconic Crown Jewels and just in time for the royal wedding! 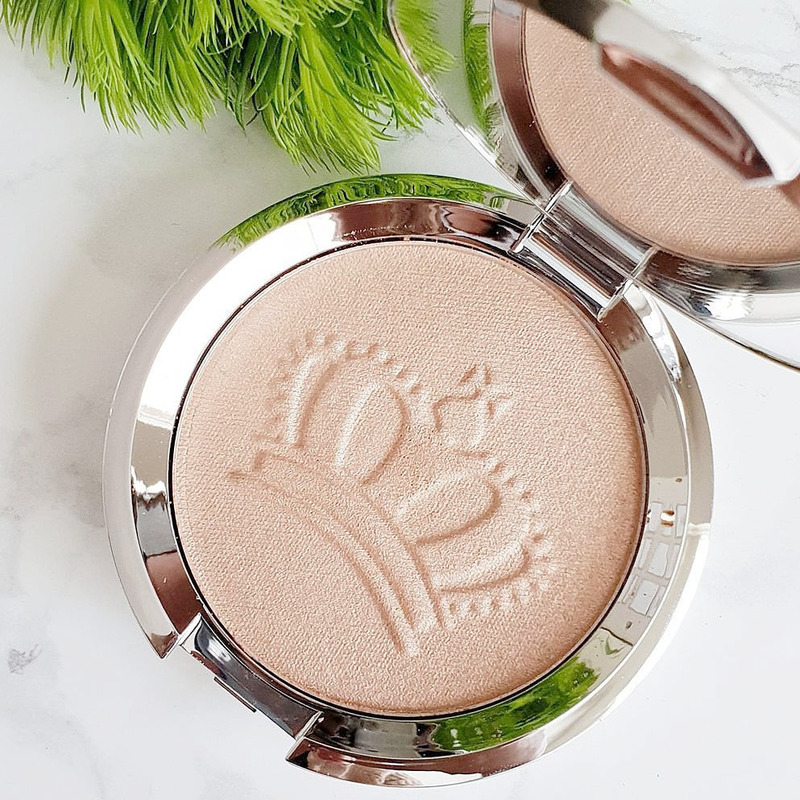 This limited-edition highlighter shade features a crown press and collector's edition packaging. 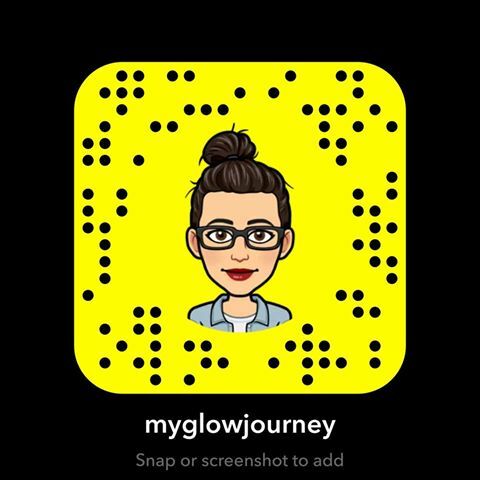 When I first saw Royal Glow in Lilly Pebbles Instagram stories, I knew I must have it, and without even thinking twice I followed all the links leading to this beautiful treasure. But quite soon I was set to disappointment because it leads to believe that it was a John Lewis exclusive. I was furiously scouting my contact lists trying to find someone that wants to get it for me as it wasn’t even possible to buy from the Netherlands it and ship it to a UK address. How annoying beauty industry can sometimes be! Well, it happens I said thinking I have some relatives that live in London, so I figured I will contact them through Facebook and beg of them. I really don’t like asking people to do stuff for me, and I know they won't mind, but that’s just me. Highlighters can be tricky after a certain age, the list I need is something to settle in my lines highlight my wrinkles. A glow fit for royalty! Inspired by the mystique and beauty of the United Kingdom’s iconic Crown Jewels, this limited-edition shade features a crown press and collector’s edition packaging. Apply Shimmering Skin Perfector™ Pressed Highlighter to the features you want to accentuate with shimmering light for a gorgeous BECCA Glow! Talc, Caprylic/Capric Triglyceride, Isostearyl Alcohol, Petrolatum, Silica, Boron Nitride, Nylon-12, HDI/Trimethylol Hexyllactone Crosspolymer, Dimethicone, Paraffin, Microcrystalline Wax (Cera Microcristallina), Polyethylene, Magnesium Stearate, Sorbitan Sesquioleate, Triethoxycaprylylsilane, Potassium Sorbate, Calcium Sodium Borosilicate, Calcium Aluminum Borosilicate, Synthetic Fluorphlogopite, Polyethylene Terephthalate, Acrylates Copolymer, Tin Oxide, Tetrasodium EDTA, Chlorphenesin, [+/- Mica, Titanium Dioxide (CI 77891), Iron Oxides (CI 77491, CI 77492, CI 77499), Carmine (CI 75470), Ultramarines (CI 77007), Manganese Violet (CI 77742), Chromium Hydroxide Green (CI 77289), Chromium Oxide Greens (CI 77288), Ferric Ferrocyanide (CI 77510), Bronze Powder (CI 77400), Bismuth Oxychloride (CI 77163), Aluminum Powder (CI 77000), Yellow 5 Lake (CI 19140), Red 40 Lake (CI 16035), Blue 1 Lake (CI 42090)]. Royal Glow is definitely one of my favorite BECCA highlighters at the moment, right after Prosecco Pop, which reminds me to stop buying limited editions! 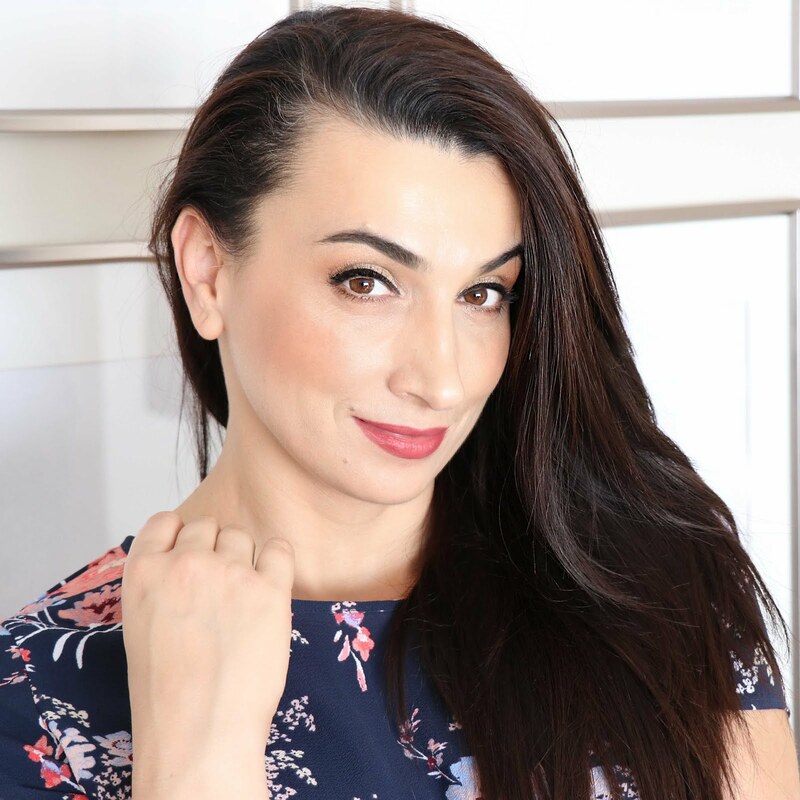 Royal Glow lasts all day long, and it is so easy to layer when you want an even stronger glow, applies excellent with both dry and damp brush. 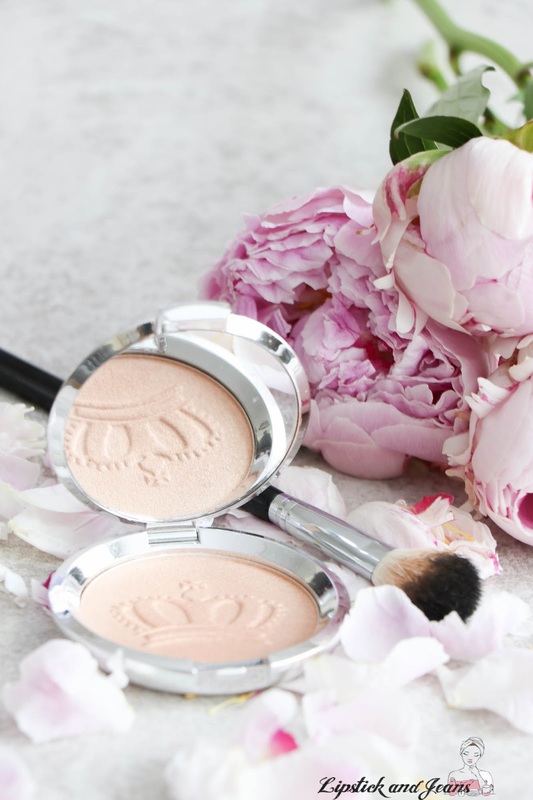 Iconic Becca highlighter formula i love that it is creamy and shimmery rather than glittery. Would absolutely recommend! Do you have a favorite shade of the BECCA Shimmering Skin Perfector? Are you on board with the new Royal Glow? 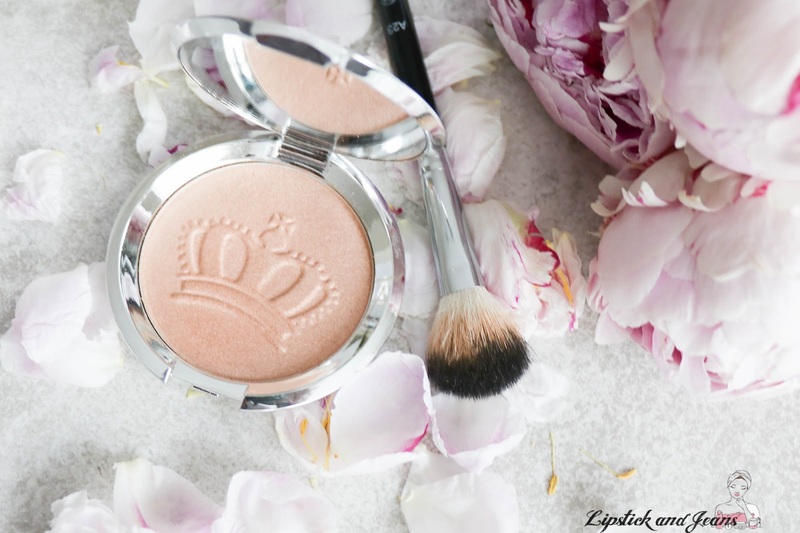 I would love to see a swash of this highlighter to see the pigmentation! It sounds so good. Really digging this limited edition older! I love the design of this with the crown press on the highlighter powder. The compact it comes in is so cute too. 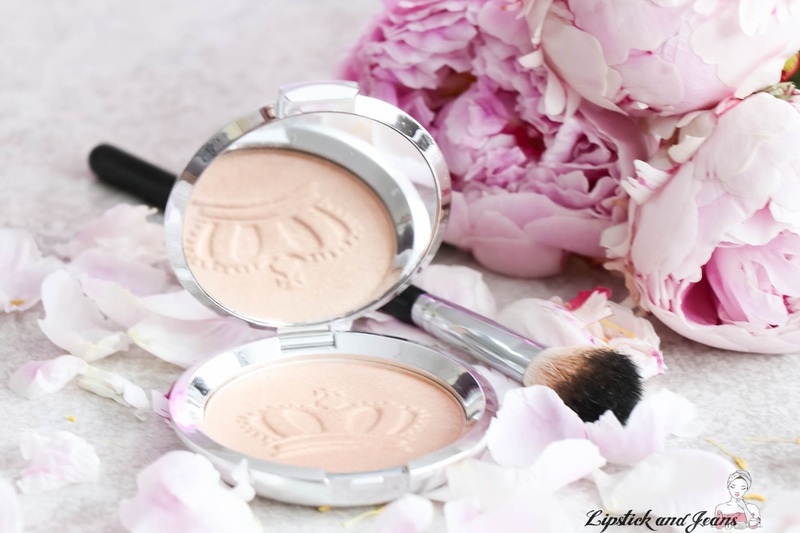 I love that it's creamy and shimmery, perfect for summer. I like that you share key ingredients about this product. It would not be right for me because I do not use products that use petrolatum as I tend to be allergic. That this highlighter is cruelty free is a plus. I'm not that updated when it comes to make-up but this one's really pretty! I love the packaging and how it looks. Glad to know that it works so well too! This is a really pretty highlighter indeed. It looks like a really subtle glow too and I really like the packaging. I like how detailed this review is. The highlighter palette looks really nice. I love highlighter and always use with my daily make up. I also appreciate the fact that is cruelty free, many brands never disclosure this and I think is important! This highlighter looks absolutely stunning! I would love to see it swatched to get a better idea of what it looks like on the skin. I love pretty looking makeup. I always use highlighter around the bottom of my eyes, forehead and nose. I would love to try this! I really love the look of this highlighter for 2 reasons. Firstly, the shade is perfect, not too dark and not too light. And I just its holder too. I'll have to see if I can get it. I've been looking for a new highlighter and this one looks like a great one! I love that it's cruelty-free... will be checking it out for sure!